You are here: Home / Appeals / Fund a Need / Raise the Paddle / A rose … er, a cash appeal by any other name is still a cash appeal. A rose … er, a cash appeal by any other name is still a cash appeal. A prospective client called me a few days ago. 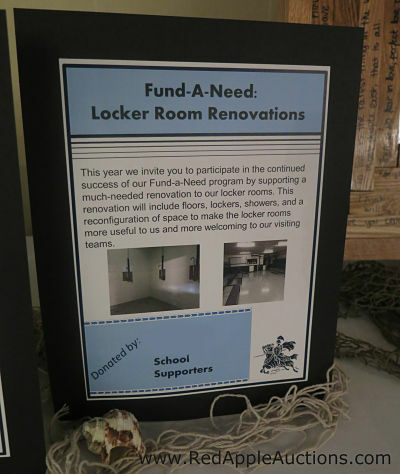 “We conduct a silent auction, a live auction, and a reverse auction,” she said. A reverse auction? That was a new one for me. Perhaps more than any other activity during an auction fundraiser, cash appeals are called a variety of names. Let’s describe it so we all understand what it is. A cash appeal is a direct request of the audience, asking them to make a cash donation to fund the organization. The crowd is – in effect – giving a group gift to the charity. I like to call the appeal a Fund a Need, but it goes by many names. Which sounds good to you? I suspect that regional differences may play a role in what you call it. That said, what you call an appeal isn’t usually a problem, unless you are calling it a different name all of the time. Select a name, and stick with it. You and your auction committee should always refer to it by that name so you, other committee members, and your guests do not become confused. Once you’ve selected a name, the hard work begins. Like how do you run a well-received Fund a Need? In my master course on Fund a Needs, you’ll learn all the details. How to select the best need that speaks to the crowd. How to fit the concept gracefully into the event. How to collect all the money that’s pledged (the back-end process). Hundreds of nonprofits have used my system to launch and develop a Fund a Need. Learn more Fabulous Fund a Need Secrets. I just discovered you today, I am thrilled! Can you explain what the terms mean, I am new to fundraising and need help, what does the term Reverse Auction mean? To answer your question … in this blog post, the term is another word for an appeal. But in commercial auctions, a reverse auction refers to when the suggested bid price is quite high (so high that no one is likely to bid) and is slowly lowered in price. The first person to bid is the winning bidder who buys the item. This technique is the opposite of a “regular” auction, where the bidding begins low and is advanced in price as people bid. The last person bidding (i.e. the highest bid) is the winning bidder. Finally … if you haven’t yet, I encourage you to sign-up for the “Benefit Auction Ideas” e-newsletter here. It’s fresher content than what I write for the blog, and you’ll automatically receive our popular Auction Item guide, which lists some top donation ideas.